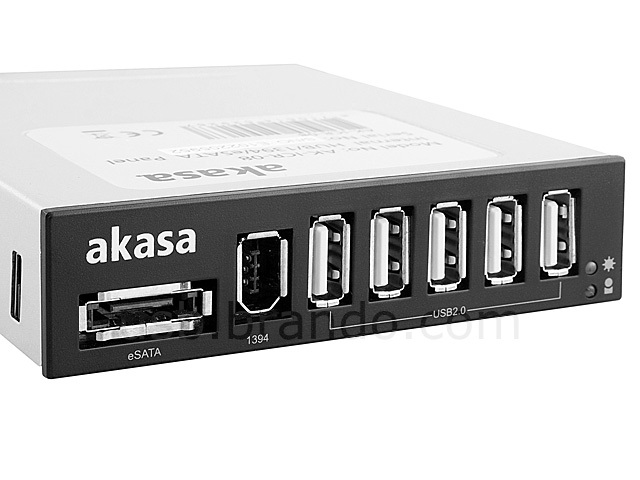 The Akasa Internal 3.5" Drive Bay Data Panel is a 3.5" PC bay panel containing five x USB2.0, 1 x eSATA and 1 x IEEE1394 ports. All popular data connections are centralised in one easy accessible place to expand system real-time connectivity and provide quick and efficient data management. 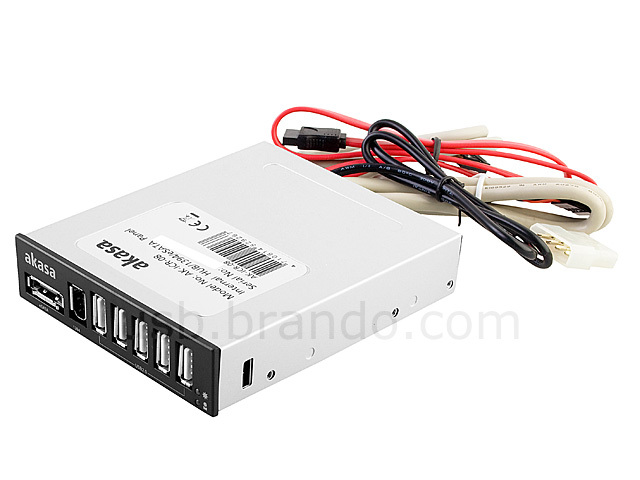 It is ideal for easy connection of external HDD enclosures, memory sticks, card readers, digital cameras, MP3 players or smart mobile phones. The high-speed USB hub is powered directly from the PSU enabling simultaneous connection to all five available USB ports without compromising the performance - even power hungry USB devices are supported. Two front fascia panels are supplied, matt black or classic white. Two LED's clearly indicate power on and data access. Hi-speed USB2.0 compatibility provides the maximum operating speed of 480Mbit/s. This is a plug and play device - no software installation needed.